BrownJELO: Jessalyn's second room makeover. When Jessalyn turned seven we had just moved into the parsonage. It was the first time that she was able to have her own room. 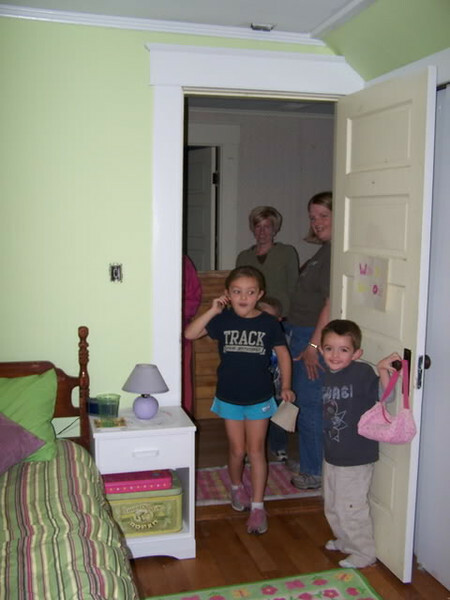 Kirsten, Granny and Nana helped decorate her room and made it very pretty and perfect for her at the time. 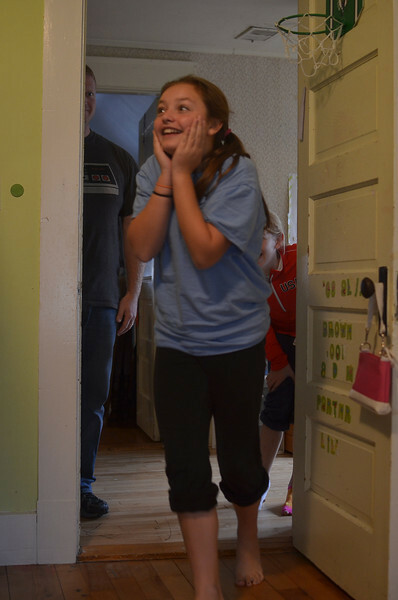 She LOVED the day that her room was "revealed" to her and has enjoyed every aspect of the room since then. As time has gone by, her tastes have changed some and her need to have a simple, yet functional space has become necessary. Her busy schedule and the small space of her room usually equals a horrible mess...usually of clothes that don't fit in her dresser, or random scraps from various scrap projects. On top of this, she has many wall hangings that are memories of different events and times, things that were made by her friends and other things that were sort of taking over the original decor on her walls. One of the things that she's been asking for for the last year or so is a loft bed. Really, a loft bed would work well in her room as space is limited and her stuff keeps multiplying. We had some friends over just a few weeks ago who, in conversation, asked "Hey...you guys don't happen to want a loft bed do you?". Jessalyn also happened to not be in the room at the time. We jumped on this offer and decided that this was the route we would go for her birthday. Not knowing anything about the bed, I had her pick out some bedding for a "potential" birthday present. She had fun choosing what she wanted..which turned out to be Nana's gift to her. We had planned to do this room makeover while she was at school on her actual birthday...(today, Oct. 29). What we didn't plan on is was that there was going to be a hurricane this day (Sandy) and that school was going to be dismissed early! This put a kink in our plans, but the day still went well. Jessalyn ended up home before we had time to finish the whole project, but she hung out downstairs as we finished things up. It actually worked perfectly as we were finished the project at about 2:13pm..and Jessalyn was born at 2:15pm! 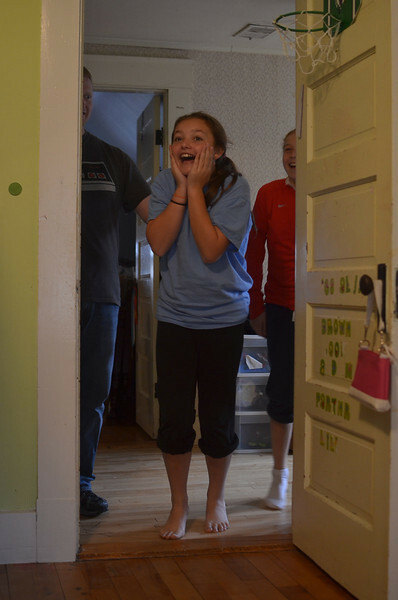 We brought her up and revealed her 12th birthday present at the exact time that she was born 12 years earlier! She was VERY happy with her super clean, functional, rearranged room with a "new to her" loft bed! 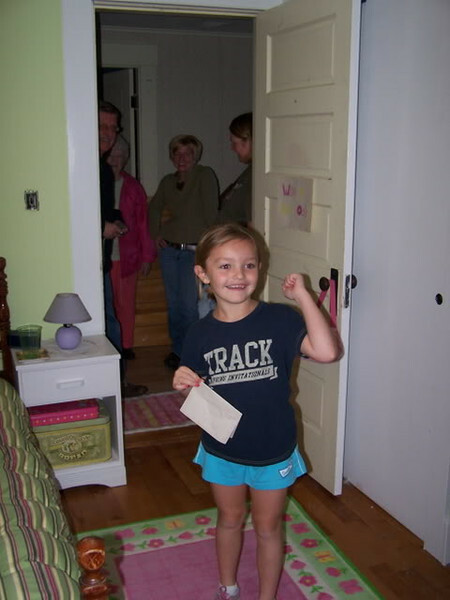 The fun part is that I took pics of her when her room was revealed to her 5 years ago and took pics again today. It's a fun comparison! I can't believe how much she has grown up in the last 5 years!!! Crazy!